Business is one subject I never thought I would be writing a blog about. However, so many people have asked me to offer tips on how to live their passion and make a living doing so, that I decided to jump in the deep end and share my experience with this subject. My background offers a bizarre platform from which to dive into the world of business. Nothing in my early life prepared me for being ‘business oriented’. I was raised in a family who lived in such poverty that many times we didn’t have enough to eat, and would go hungry for days on end. I know this is difficult to imagine in a country such as the USA, where I spent my childhood (I was raised in a ghetto, in a family of 7 children). Naturally, I got out of there as soon as I could, leaving home at the tender age of 12. 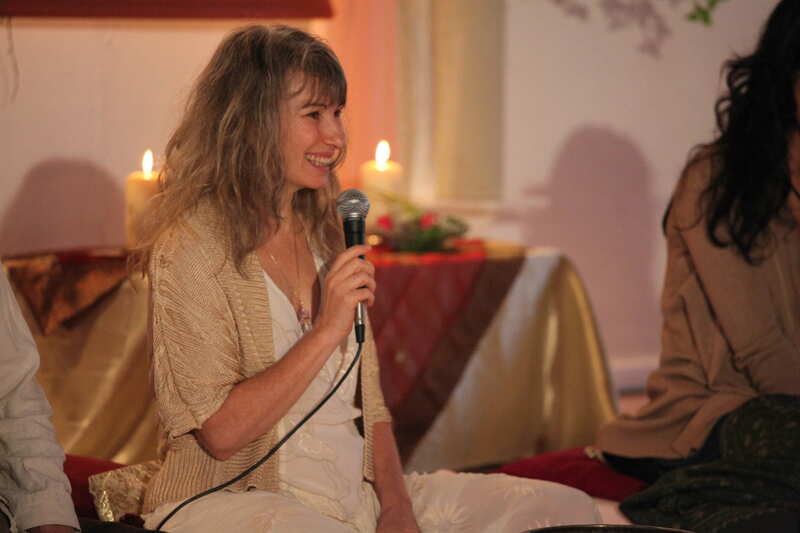 So whether I was cleaning floors, offering public talks, or giving healing sessions, it all flowed from that place within, which was accountable only to inner consciousness and love as the principal inspiration and guiding force. Little did I know at that time, that this state of being would become a solid foundation from where to launch a holistic business. I left India in 1999 and moved to France with my lover. I didn’t even know how to get money from a cash machine, how to open a bank account, or any of the other fine details of life ‘in the world’. It took a long time before I felt at ease with ‘worldly life’. My business evolved out of a passion to share the tremendous wealth of wisdom and experience that had been showered on me while living in Osho’s presence. It was clear to me that this sharing of gifts would have to be placed in a framework that worked in the world, and that I would need helping hands in order for this to happen in the best possible way. My spirit guides were obviously working overtime, as I was very fortunate to meet Supragya, who I consider to be my business ‘Earth Angel.’ He is a person who loves the way numbers look when they are all nicely lined up on a spread sheet, showing a healthy balance of outflow and inflow of money. He is truly a custodian of abundance. In much the same way as a gardener lovingly cultivates plants, he cultivates the garden of finance. 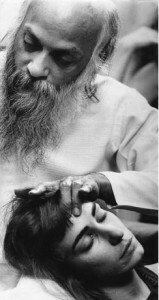 Of course his many talents don’t end there, as he was also my primary organizer for Tantra groups for many years, and honed this skill to a fine art. When starting out, I paid close attention to the advice given to me by a millionaire I had met. I asked him what it takes to be successful and he said: “You have to be ready for your business to not make any profit for the first five years. If you can make it through the five-year threshold, then you will begin making profit, and from there it will grow exponentially”. For the first 3 years of teaching groups, we made no profit, and then slowly, this situation began changing. During those first three years, I was greatly helped by faith that this work is valuable and that it would find its way through all challenges, just like a river finds its way to the sea. Of course, implicit in this, is that you find what it is you really love to do. I have met some people who struggle a lot with this question, and simply don’t manage to find their passion. 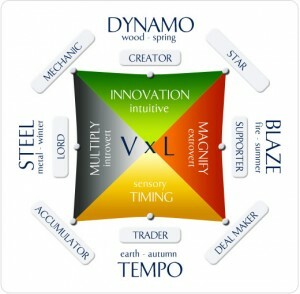 I learned a very good way of discovering one’s passion, from a book called Pendulum Power. The author indicates that we are born with certain tendencies and our choice of how we play as children will give indications for what we will be good at when we are grown up. To find your passion, it is very helpful to remember what kind of games you enjoyed as a child and then, translate these into possible professions. Make a list, and find out which profession on the list gives you the most joy. The bottom line is, if you truly follow your passion, you will be successful. The nature of life is to change and evolve, and so, gradually, I learned more about the ‘garden’ of business. I have been greatly influenced by the work of Roger Hamilton, who wrote the book, Your Life Your Legacy. He runs a business called Wealth Dynamics, which outlines a very clever model for entrepreneurs. His model is based on the I Ching. The theory behind it is that there are 8 types (or combination of types) of people. You can imagine a pie, cut into 8 pieces. Some people will have attributes of one piece of pie, and some people may have attributes of 3 pieces of pie, or more. In order for any business to be a success, it is essential for the whole pie to be represented. In other words, if you have two skills, covering two pieces of pie, you will have to find those people who have a natural aptitude for the other pieces of pie, to be involved in your business. His basic premise is that you should not beat your head against a wall, trying to be who you are not, as this is a waste of time and will eventually ruin your business. Each person needs to do what he or she is good at and what he or she loves to do best. When all the pieces of the pie are filled in through the involvement of those persons who complement each other’s talents, then your business is guaranteed success. 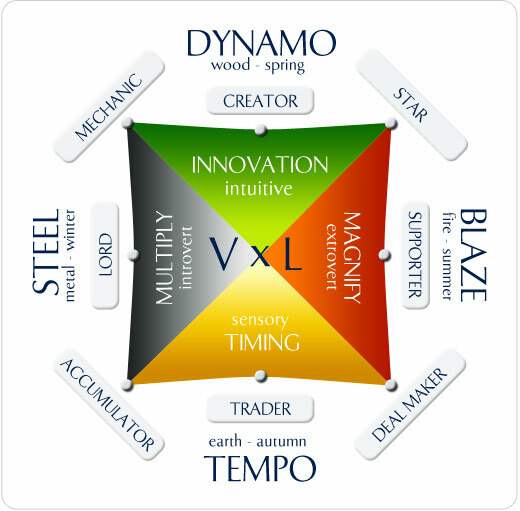 The types covered in this model are: Creator, Star, Supporter, Deal Maker, Trader, Accumulator, Lord, Mechanic. By following this model, I dared to take steps, which I may not otherwise have had the courage to do. I now work in 12 countries, and my team of 10 people who teach with me (or with each other in various combinations), also work in many different countries. Supragya manages my business, and I have organizers in each of the countries where I work. In addition to this, my business is nurtured in so many ways by several ‘freelance’ individuals who offer essential skills for Tantra Essence to evolve. Malika takes care of the Newsletter. Sidika takes care of my social media. Punya has created the web site. Tameer manages the web site. Shivananda does my design work. Odyle is my travel agent. When I am negotiating to work with anyone, whether it is an organizer, or designer, or anyone who is involved in Tantra Essence, I always try to create a win-win situation, so that each person feels loved, empowered and respected in what they do. This means I have a lot of financial outflow. I see people who try to do it all themselves in order to save money, looking extremely stressed out, and not really enjoying their life. I believe it is very important to follow my bliss. If I am not enjoying something, then it is not right to continue doing it. Joy offers all the signposts needed in life. I experience money (also known as currency!) rather like a river, which flows through me. Money flows in and out, making space for more to flow in and out. My job is to simply keep creativity alive. The more juicy and joyous my creativity is, the more dynamic is the flow. The more I love what I do, the more my work flourishes. The Flower of Life expands throughout the whole creation in ever renewing life cycles. Each one of us is an integral part of the vast abundance of creation. Knowing this and living it, is the nectar of holistic business. Take the Wealth Dynamics Profile Test to find your primary type of entrepreneur and go for what you are good at. Invite others into your business who will complement your talents, thus covering all aspects of the ‘pie’. Holistic means body, mind and spirit are all in harmony with what you are doing. Always be very respectful of those you work with. Be open to the changing nature of life and go with the flow. Be in service of the highest good for yourself, others and the environment. Feel gratitude towards everyone who is involved in your business and toward the abundance offered by life. N.B. The links to Wealth Dynamics on this page may result in Sarita earning a commission on any purchases you make via these links.